'Sublimely brilliant, stunning....He is a comic right on the verge of greatness. 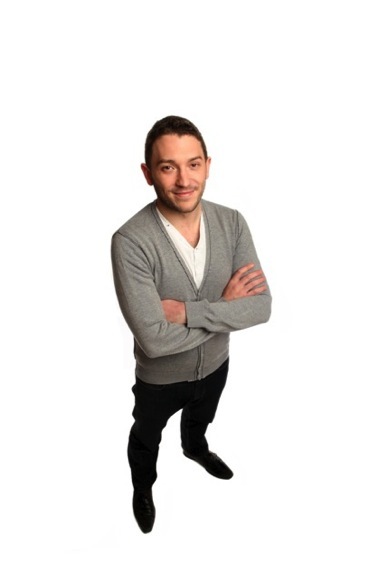 Due to an overwhelming public demand, the brilliant Jon Richardson is back on tour in 2012. The new host of Channel 4’s Stand Up For The Week, team captain on 8 Out Of 10 Cats, Edinburgh Comedy Award nominee and best-selling author will be taking his show, Funny Magnet across the UK from March 2012. Discussing the everyday items that have a profound effect on his outlook, Funny Magnet sees Jon working his pessimism with some hilarious consequences, and as always with his loveable vivacious delivery. Away from stand-up Jon is massively in demand for television and radio appearances. His recent TV credits include; 8 Out Of 10 Cats (Channel 4), Stand Up For The Week (Channel 4), Have I Got News For You (BBC ONE), Live At The Apollo (BBC1), Michael McIntyre’s Comedy Roadshow (BBC ONE), Channel 4’s Comedy Gala Live At The 02 and Never Mind The Buzzcocks (BBC TWO). See www.offthekerb.co.uk and www.jonrichardsoncomedy.com for tour details plus regular updates on new shows added.